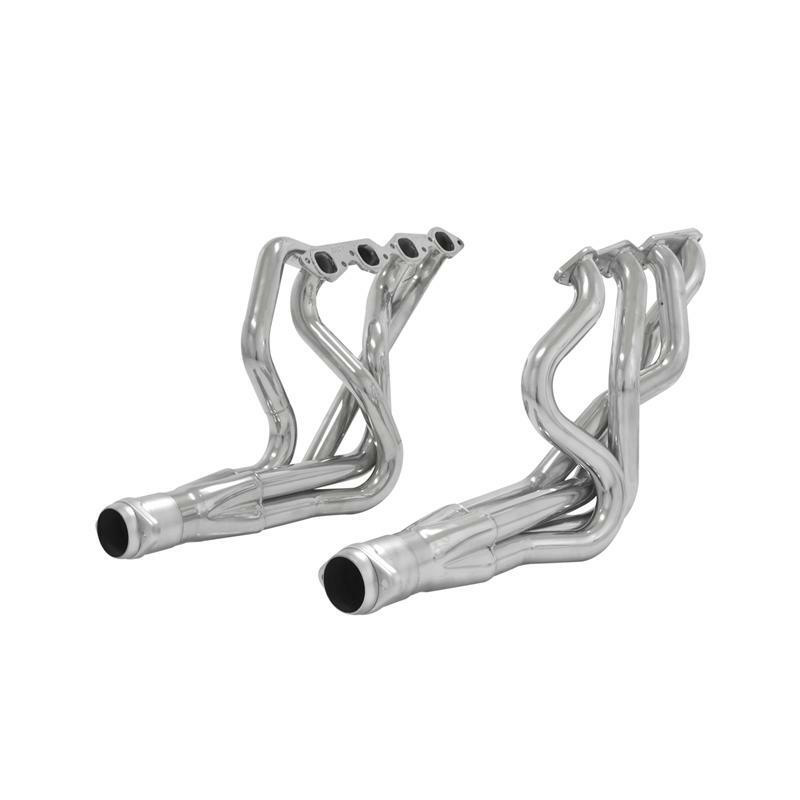 Flowmaster’s Scavenger Series Elite long tube headers are designed to replace the restrictive factory cast iron manifolds. These high quality headers are manufactured from stainless steel and are ceramic coated for maximum durability. They feature 2 in. primary tubes, 3/8 in. thick flanges and incorporate Flowmaster’s popular 3-1/2 in. ball flange collector connections ensuring a leak free installation. Scavenger Series long tube headers deliver maximum performance and are suited to the enthusiast who wants the best. Like all Flowmaster products the benefits include improved throttle response, power and engine efficiency. Designed for an easy fit, these headers include gaskets and necessary hardware for easy installation. Note 1- big block frame stands and motor mounts must be used to ensure proper engine location and header fit. Note 2 -this product is legal only for off highway use (except in California or states that have adopted California emission standards), racing use or for use on pre-emission controlled motor vehicles/motor vehicle engines (pre-1966 domestic vehicles certified to California standards, pre-1968 domestic vehicles certified to federal standards and all pre-1968 foreign vehicles), per the application guide.